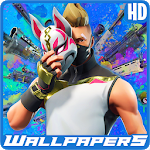 FortArt - Community Wallpapers is a unofficial fan made app of Fortnite where you can enjoy hundreds of wallpapers and art uploaded by users ! 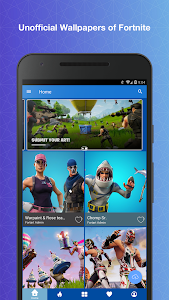 of your favorite Battle Royale videogame Fortnite. •Always updated , now season 5! 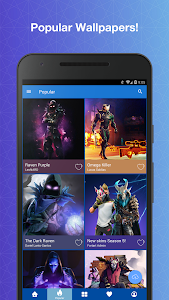 Do you have a Fortnite Art or Wallpaper ? Sign in and upload your own art! and share with thousands of Fortnite users. 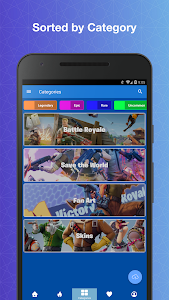 FortArt - Our service which is completely free is to provide a place for fans to share, use and enjoy the art of this videogame. [FortArt - Community Wallpapers] This app contains images for which are believed to be in public domain. Please notify us immediately if you own rights and it will be removed! 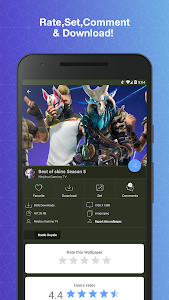 This App was made following the Guidelines by Epic Games, for Fan Art, Website and App content. Not affiliated with Epic Games, Inc. 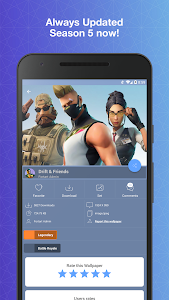 Similar to "FortArt - Community Wallpapers"